User Experience is not about beautiful designs? At Lean Apps, we always make sure the experiences we craft are not only beautiful, but also provide additional value to your users and meet your business goals. This is why User Experience design plays an important role in our digital transformation process. We bring together professional user experience design and the best technology to deliver remarkable experiences that solve business challenges and make users happy. UX is not a linear, step-by-step process. It’s a way of thinking. It’s about solving real problems with empathy. So, make room for us because we’re diving in with you. We have to live it. Breathe it. Obsess over the details. We’re going to ask you questions. We’re going to ask your users questions. We’ll poke. We’ll make you think. We’ll make you rethink. We walk with you the entire step of the way. We know you may be skeptical, but we’re asking you to trust us. We’re the real deal. As a UX agency, our first step is always about identifying the problem, understand if the problem is worth solving. Its the fastest way to find out if a product is worth developing. We deep dive to gather every possible information that will help us build the right product. No need to invest months of time build a product. We use our Discover and Define process to de-risk your software investment. It helps to ensure we build a solution that actually satisfies your users’ requirements and solves their problems. The Create phase of a UX (user experience) is when we actually design the solution, including the Visual Designs, the functionality, and the detailed specifications for how the UX will perform. We create a working prototype of the product using tools like Invision which is a sample version of a final product, which is used for testing prior to launch. The goal of a prototype is to test products (or product ideas) before spending lots of time and money into the final product. 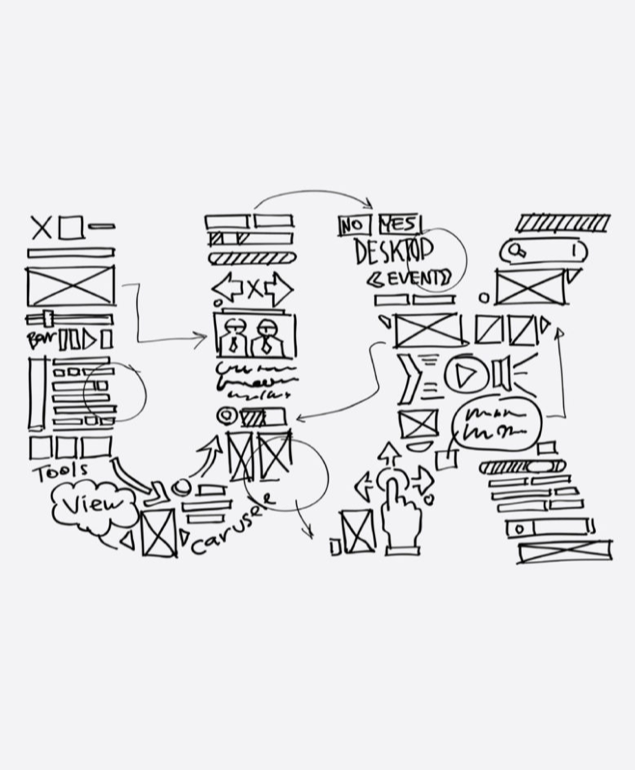 Once the UX foundation is created, we dive into user interface (UI) design. Again, the emphasis during this phase maps back to the business goals defined during discovery. Screens must be beautiful, but, more importantly, the key elements on those screens should drive people to the intended goal.